Combining the power of creating high quality image and functions, Canon EOS 650D allows you to get beautiful images all the time. 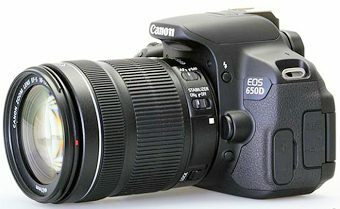 This camera can be bought at a price ranging from $845.00 to $850.00 and is the successor of Canon 600D. 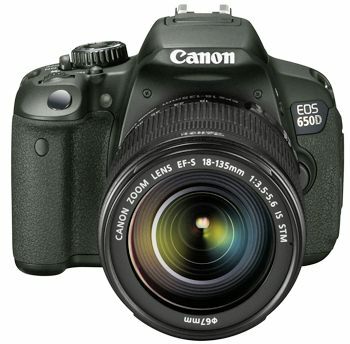 Although it may look like the 600D, Canon EOS 650 D has more advanced features to offer. Through the “Hybrid AF”, the EOS 650D offers this feature to make video recording less pixelated and ensure clear focus on the subject while recording. This feature is very beneficial, especially when taking videos wherein certain pixels will be dedicated only for the phase detection AF and contrast detection AF. Whenever the subject is focused on the frames center, there is a great chance of identifying the location of the subject. The Hybrid AF is designed to help in focusing the system of the camera to the subject while taking videos. Canon EOS 650D is known to be the first DLSR that offers a touchscreen feature which allows you to easily make adjustments with its shooting parameters using this feature or the buttons in the camera. This feature is incorporated into the camera to make sure that you will be able to adjust or change the settings of your EOS 650D with ease. It is one of the newest features offered by Canon and it is finally in the Canon 650D. Selecting pictures, making changes and editing will never be a hard thing to do with the 650D. However, it will still depend upon your choice. Whether you will use the touchscreen feature or you still prefer the control dial, just make sure that you are comfortable with the camera so that you can capture all those great moments with your family and friends. The EOS 650D offers the optical viewfinder that is also present in the Canon 60D. However, it is now improved through the addition of two new modes for shooting that will be great for those who are just new in photography. The first mode is the Handheld Night Scene that can help in reducing blur whenever you are capturing moments at night time without the use of tripod. The other mode is the HDR backlight that enables the patented system of Canon for multishot to be combined in one. It will help in balancing the exposure of the foreground and background of every photo taken using the EOS 650D. All of the above mentioned features of the Canon EOS 650 will be very beneficial for you in creating those beautiful images you have captured. 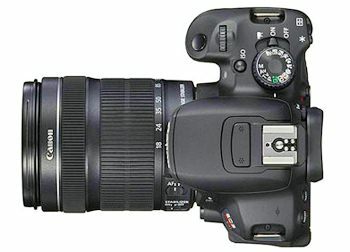 Its features are designed to be very helpful not only for professional photographers, but also for those who are just starting to like photography. The only feature that is missing in the EOS 650D is the digital 3-10x zoom capability for shooting a 1080p video, which you can find in the 600D. Though it is not present in the Canon EOS 650D, this camera still offers more improved features that will allow you to have high quality pictures and videos without blur. At present, Canon EOS 650D has 8 customer reviews and an outstanding score of 5 stars, which only shows that the users are happy with the features offered by this camera. Canon 650D is the best choice to have when you are looking for a digital camera offers ease of use and helps you in creating high quality images and videos.